Key difference: Healthy and Disease Free are basic states of normal humans. 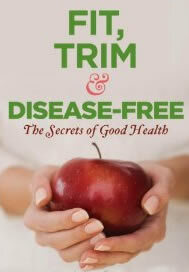 A healthy person can be disease free, but a disease free person cannot be a healthy person; i.e. healthy is a state of an individual, who is physically, mentally, emotionally and physiological well in their lifestyles. While, Disease-free is a state of the body, which merely implies freedom from diseases. Healthy is a state wherein a person’s is fit and fine from all aspects, including all his physical, mental, psychological and emotional state. Being healthy refers to being free from any diseases. But, being diseases free does not refer to be healthy, i.e. a person who is disease free does not have any diseases but, they might not be stable from inside as that of a healthy person. When a person is stable from every bodily aspect which includes all their states like the physical, mental, emotional and psychological they are said to be healthy. 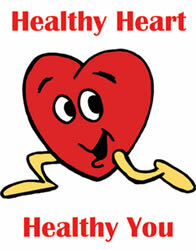 Generally, healthy individuals are not prone to diseases. Healthy is a state where the individual is physically, mentally, socially and psychologically stable. Healthy being is concerned with pure and fresh living which is generally free from any disease or viral infections. Whereas, a Disease-Free state describes the condition of a well-being who is not suffering from any of the diseases, but can’t b considered to be healthy as well. In simple terms, being away from diseases means Disease-free but, the individual here in this state may or may not be mentally or socially active and stable. Their body may function efficiently, but it’s not compulsory that they can be socially good in the surrounding. Hence, the major difference of being healthy and disease-free lies in their states and conditions. Being healthy is equivalent to almost being stable in all the health aspects, but being disease cannot be considered in that context. Being disease free means not having any diseases. And a healthy person can be disease free but, a disease free person can’t be healthy. These are body conditions which keep an individual in their respective phases and states. So, diseases free individual need to be cured and dealt more properly in order to make him healthy. These are physically, mentally, emotionally, and physiologically strong and stable. These do not have any type of illness, malady, sickness and unwell ness. Individuals being healthy are generally active and stable in nature. Individuals may or may not be active or stable in behavior. This was very nice and interesting answer.The having dought,by reading this it would be clear.Well done guys. Extremely well written However this brief study can be expanded. You guys have done a good job for a school child, who doesn't want that much of complicated info. This brief study was quiet interesting and charming. Needs more effort to the point answer is not given.